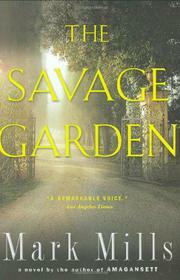 In the second novel from Mills (Amagansett, 2004), a student unearths deadly secrets at a stately Tuscan villa. Cambridge scholar Adam Banting gets an unexpected offer from his mentor, Prof. Crispin Leonard: to explore the exotic garden of Leonard’s old friend Signora Docci, and write an academic study of her singular garden. Having few other prospects and languishing in his relationship with aspiring writer Gloria, Adam accepts. Over ten years after WWII ended, the collective Italian psyche has conflicting emotions about its role in the war. Indeed, Signora Docci dotes on the memory of her son Emilio, whose death at the hands of German soldiers is shrouded in mystery. Adam gets contradictory snippets from a friendly local tradesman named Fausto and from the Signora’s flirtatious granddaughter, Antonella, among others, before his charming, no-account brother Harry arrives unexpectedly to complicate his life. The garden Adam’s come to study is lush and elaborate, its statuary eerily sensual and life-like. His appreciation warms the glamorous Signora Docci, and she unexpectedly takes him to bed, making him promise to keep their tryst a secret. He’s excited to discover that the nine tiers of the garden correspond to the Dante’s nine circles of Hell. As he uncovers more secrets about Emilio’s suspicious death, Adam realizes that subtle features of the garden are offering clues.